SURIGAO CITY, Surigao del Norte, Apr. 1 (PIA) -- The government continues to intensify the ‘Dismiss Disinformation’ campaign to combat fake news and disinformation in Caraga region through the Presidential Communications Operations Office (POOO) in cooperation with the socio-civic organizations such as the Fraternal Order of Eagles (FOE). During the oath-taking ceremony held in Surigao City, PCOO Secretary Martin Andanar urged the members of FOE (Philippine Eagles) to help the government in fighting the spread of false and misleading information in the communities. Andanar said that just like the strong, sharp and agile characteristics of an eagle, President Rodrigo Duterte is able to lead the Filipino people with a clarity of vision to cooperatively achieve the ultimate goal for peace and progress. “Our country is now a work in progress. President Duterte elevates us to that threshold of dignity and the high ground of a better life. Symbolically, he is the eagle that leads our people to aim for the highest point in our individual and collective work, the best status in life,” Andanar said. 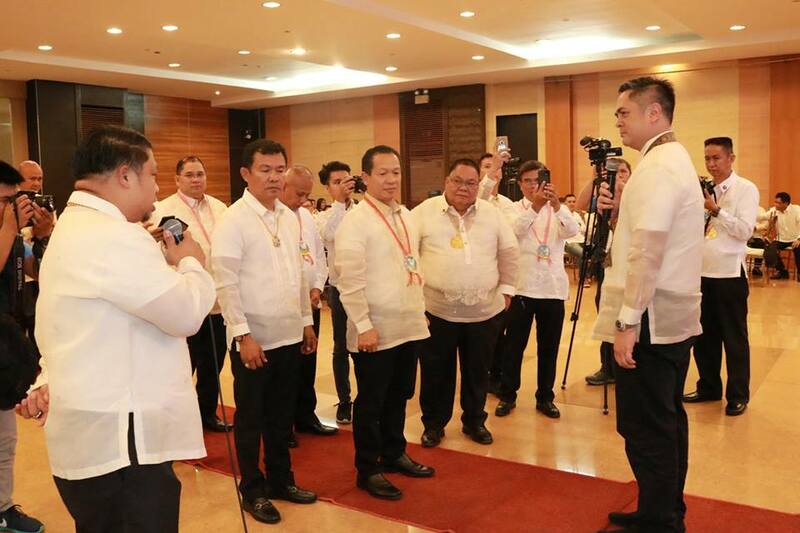 SURIGAO CITY, Surigao del Norte, April 1 – To discuss ways to further improve the delivery of quality basic education in the region, around 600 education leaders convened for the 2nd Caraga Education Leaders Assembly (CELA) on March 19 at the Surigao del Norte Provincial Gymnasium. 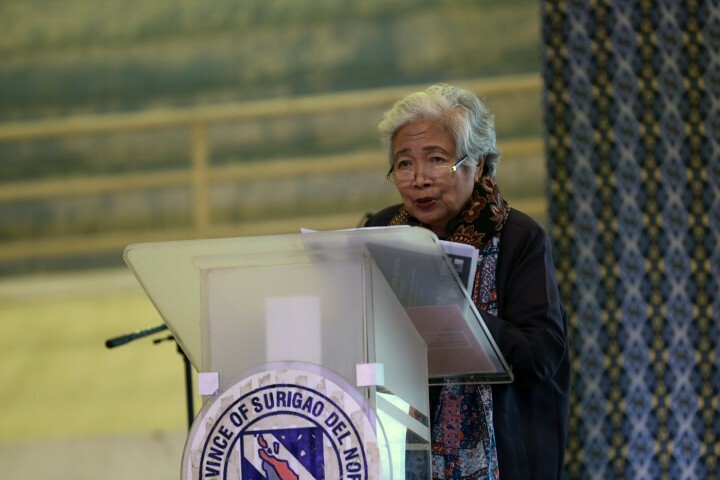 In her keynote speech, Department of Education (DepEd) Secretary Leonor Magtolis Briones highlighted the agency’s efforts in ensuring the realization of its programs and projects, which are all geared toward the betterment of the educational system in the country. She also acknowledged the contributions and the honor brought to the Department by teachers and educators who were recognized in various awards, both locally and internationally. “Most of our teachers have already been creating, innovating, and thinking of ways of reaching out to all Filipinos learners who need to have the basics of education. Some of them were even recognized in various awards in and outside the country,” she said. To conclude the gathering, Briones was donned the tribal attire of the Mamanwa, indigenous peoples in Surigao del Norte and other parts of Caraga. 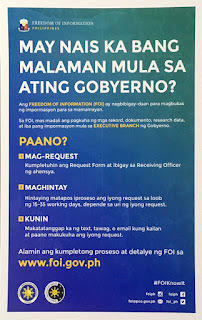 LUNGSOD NG SURIGAO, Surigao del Norte, Abril 1 (PIA) -- Patuloy na pinalalakas at pinaigting ng pamahalaan ang kampanya laban sa ‘disinformation’ at maling balita sa rehiyon ng Caraga sa pakikipagtulungan ng Presidential Communications Operations Office (PCOO) at socio-civic organization na Fraternal Order of Eagles. Sa ginanap nga oath-taking ceremony sa lungsod ng Surigao, hinimok ni PCOO Secretary Martin Andanar ang mga miyembro ng Eagles na tulungan ang gobyerno na labanan ang pagpapakalat ng maling impormasyon sa lipunan. Maliban pa sa kanilang environmental, educational, health at sanitation na mga programa ay nakiisa rin sila sa pagbibigay serbisyo sa mga kababayang nangangailangan at pagsulong ng kapayapaan. Pinaalahanan ni Conrado Cedeño, national president ng Philippine Eagles, ang sinumang miyembro ng socio-civic group na mas lalo pang magbigay serbisyo sa komunidad ng may katapatan. “Kung magagampanan natin ang ating mga tungkulin sa ating organisasyon, matutuwa ang ating pamahalaan dahil natugunan natin ang marangal na misyon na makapagbigay serbisyo sa ating kapwa,” sabi ni Cedeño. 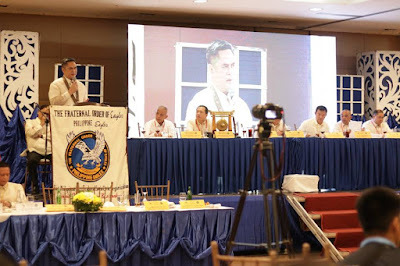 Samantala, sa kanyang mensahe naman bilang panauhing pandangal sa isinagawang induction ng club at regional officers ng Philippine Eagles Caraga Region III sa Surigao City, sinabi ni PCOO secretary Martin Andanar na nararapat lamang anya na isapuso ang humanitarian values ng kanilang organisasyon. Hinalintulad naman ni Andanar si presidente Rodrigo Duterte sa isang agila na may taglay na lakas at liksi, at ng dahil sa kanyang pamumuno ay nagkaroon ang bawat pilipino ng ‘clarity of vision’ upang sama-samang isakatuparan ang mithiing kapayapaan at kaunlaran. LUNGSOD NG BUTUAN, Abril 1 (PIA) - Anim na stakeholders na naman ang naidagdag sa mga donor-partners ng Environment Management Bureau (EMB) - Caraga sa ilalim ng ‘Adopt-an-Estero’ o ‘water body’ na programa. Kabilang sa mga ito ang Philippine National Police (PNP) Regional Office-Caraga, EMB-Caraga Credit Corporation, Father Saturnino Urios University, Libertad National High School at mga barangay ng Ambago at Libertad dito sa lungsod. Ayon kay Engr. Renato Tacubao, environmental monitoring enforcement division chief ng EMB-Caraga, ilan lamang sa kanilang regular na isasagawang pangangalaga sa partikular na bahagi ng Ambangan Creek ang information at education campaign, community mobilization, solid waste management training, at pagpapaganda ng paligid nito. “Bilang proactive action, ginagawa natin ang ganitong aktibidad upang maging handa at maiwasan ang paglaganap ng anumang masamang sitwasyon. Kaya maliban sa dredging at pagbabawal ng pagtatapon ng basura ay parte ng plano ang pagtatanim ng ornamental na mga halaman sa gilid ng Ambangan Creek,” sabi ni Tacubao. Pinapayuhan naman ni DENR-Caraga regional director Atty. Felix Alicer ang mga opisyal ng barangay na gawing operational ang kanilang materials recycling facility. “Ito ang mismong lugar na nilinis namin dati, ngunit makikita na naman ngayon na may tambak na naman ng basura. Itong clean-up activity ay hindi solusyon sa problema ng basura pero gusto nating maipaabot sa mga residente kung gaano kaimportante na isagawa ang mahusay na kasanayan sa solid waste management,” sabi ni Alicer. Matapos ang commitment signing ng mga donor partners ay tumuloy na ang mga ito sa clean-up activity sa Ambangan Creek kung saan dinagsa rin ng ilang mga volunteers. “Naniniwala po ako na makakaiwas tayo sa sakit at iba pang panganib sa kalusugan kapag malinis ang ating kapaligiran lalo na ang mga ilog, sapa at iba pang anyong tubig,” sabi ni Jay Angao, mag-aaral ng Libertad National High School. BUTUAN CITY, April 1- The Land Transportation Franchising and Regulatory Board (LTFRB) has recently issued an advisory emphasizing that it is only their agency that is authorized by law to issue franchises for the operation of public land transportation service. This developed after the Department of Transportation (DOTr)-Caraga Anti-Colorum Task Force apprehended a Nissan Van loaded with 12 paying passengers at the national highway in Barangay Ampayon, this city last March 13, 2019. In the course of the apprehension, a certain Jobert Frias, the driver of the apprehended van, was asked to present the franchise document. However, instead of submitting a Certificate of Public Convenience (CPC) issued by the LTFRB, Frias presented an IP Resolution and IP Franchise from the Lumad Kinatas-as Kahugpongan sa mga Kadatuan (KKK) issued on September 17, 2018. 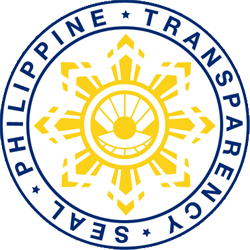 The said IP Franchise purportedly authorized Jose Emmy Rosales Tiongko or Datu Tubay of the “tribong Cebuano” to operate his commuter van within Caraga Region. “Since he was not able to show a valid franchise issued by the LTFRB, and per interview with the passengers they said that they paid P170.00 per head from Surigao City to Butuan City, we issued an Inspection Report Summons (IRS) and Motor Vehicle Impounding Receipt (MVIR) for Colorum Violation,” Maria Kristina Cassion, the team leader of the Task Force said, adding that the entire apprehension process was recorded through their body cameras. The LTFRB Advisory, which was issued last March 19, 2019, went on to state that any franchise for the operation of public land transportation service issued by any entity other than the LTFRB is null and void. The LTFRB also warned that any motorized vehicle using (the) said null and void franchise shall be apprehended and impounded with the proper penalties to be imposed. “Per DOTC Joint Administrative Order No. 2014-01, the penalty for colorum operation is P200,000.00 if a van is being used. There is also a minimum impounding period of 3 months,” Cassion said. Cassion called on the Caraganons not to be swindled by any groups presenting themselves to have the authority to issue franchise to motor vehicles. The Task Force Team Leader disclosed that in the course of their investigation, it was revealed in several interviews with operators that a payment of P18,000.00 was allegedly being required by the Lumad KKK from the applicants if they intend to operate within the region only, and P200,000.00 if they want to operate nationwide. “We certainly hope that with the issuance of the LTFRB Advisory no one will be victimized anymore,” Cassion said.